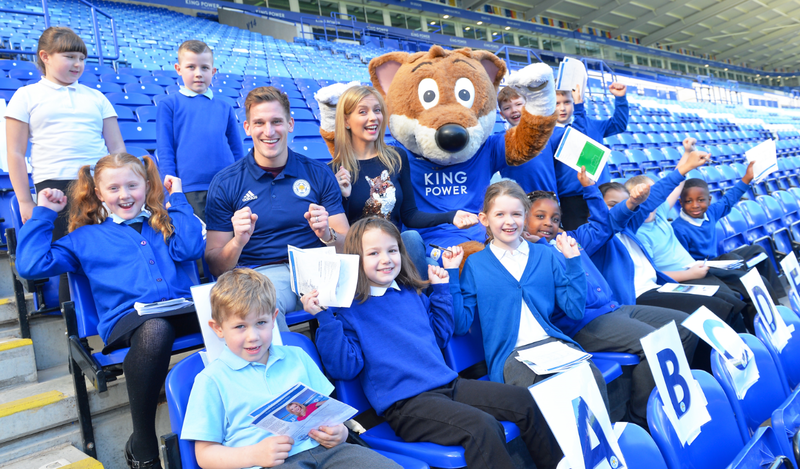 It was a week of surprise and delight for pupils at four lucky schools who were winners in our Premier League Primary Stars trophy tour competition. 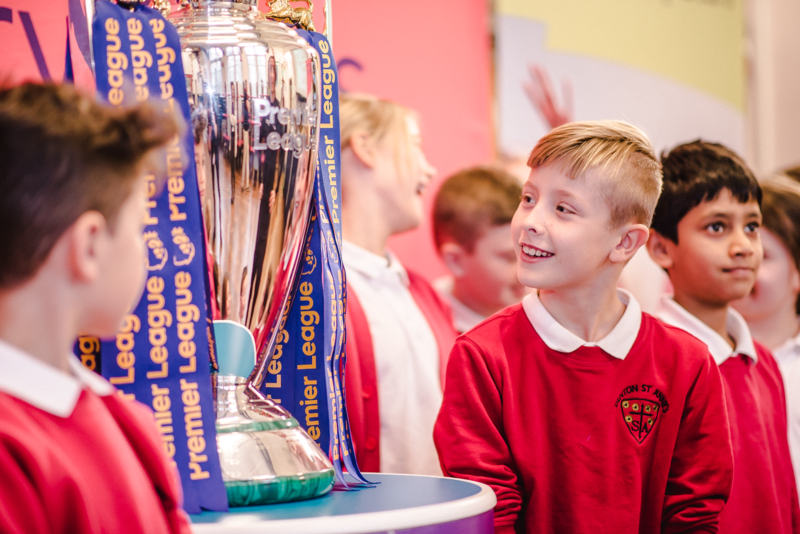 Teachers who had registered early for our free primary school resources were entered into a draw to win a Premier League trophy visit to their school, with support from their local Club Community Organisation. The trophy and its dedicated security team set off for Hull as the first stop in the four day tour, followed by Manchester and Burton-on-Trent, then finishing in East London. Along with PE as a key theme of the days, the schools used the opportunity of the trophy visit to inspire their pupils in areas including creative writing and art. At St Anthony’s Catholic Primary School in Hull, the day began with a whole school assembly to talk about their theme of teamwork and sportsmanship and let pupils have their first sight of the iconic trophy. Each class then had a short multi-sports activity followed by photos with the trophy. This was followed by Hull City’s Tigers Trust running a Premier League Primary Stars Year 2 Schools Tournament, where pupils were lucky enough to meet Hull City defender Alex Bruce and mascot Roary the Tiger. Teacher Mike Randles wrote to us after the event to say, “We all had an absolutely amazing day, one which we’ll never forget. Over in Burton-on-Trent at William Shrewsbury Primary School, the trophy was ready and waiting in the playground as the excited pupils arrived that morning. Burton Albion Community Trust ran a Year 4 Schools Tournament involving 15 local schools. Creativity was also a key theme of the day, with football journalist and top children’s author Dan Freedman giving a talk on creative writing. This led neatly onto a writing challenge for Year 6 boys, who wrote a story from the point of view of the Premier League trophy – leading to some very imaginative and interesting pieces! Feedback from the trophy visits was fantastic, with hundreds of children getting to see the trophy and be inspired in many ways. Each school was able to personalise the visit to achieve their desired learning outcomes with the support of their local Club Community Organisation. Premier League Primary Stars offers a range of incentives and competitions for schools who register and are actively involved in using our resources. Ensure your school doesn’t miss out and register here if you haven’t already.